New Mum Online: #CountryKids got HOT! My best friend came round today and we spent the morning indoors with our boys, but in the afternoon we headed off for a walk and boy am I glad we did. I have been hearing all week that it will be 18 degrees in London this weekend but I had NO IDEA that it would be nice today. I had to come back inside and dump my jacket - 16 degrees today! Anyway, today was spectacular and our walk was heavenly. 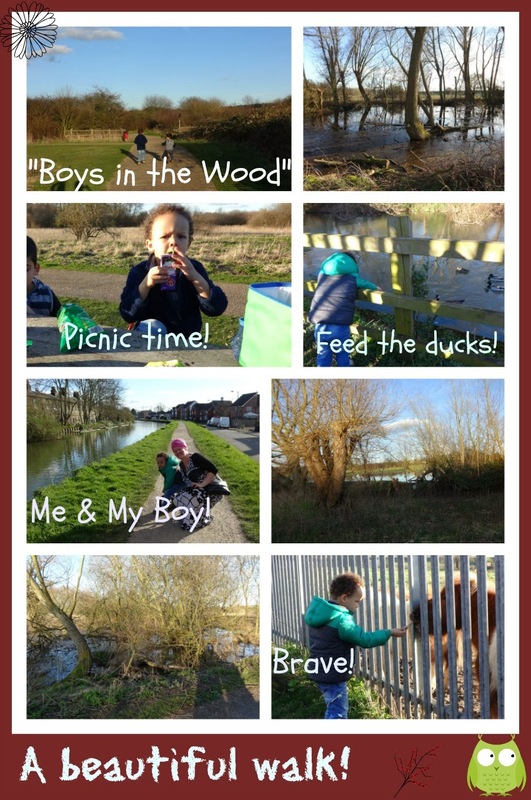 Here is a collage summary of our wonderful walk. So grateful to be getting outside often now. The weather really has been glorious today. Lets hope this is the start of spring and the sun is here to stay and we can all get out and enjoy outside play which I know is something we have really missed. Great photos. Well we had an OK week or so I thought until I read your post! Wow what a gorgeous week. We waited till today for the sun but I am hopeful it is here to stay, I really want an outdoor weekend. Loving your collage from your week in the sun and thank you for the lovely words about my post and Country Kids.